Every year, the book industry gathers at international book fairs the world over. But one essential figure has been largely excluded from these gatherings: the bookseller. 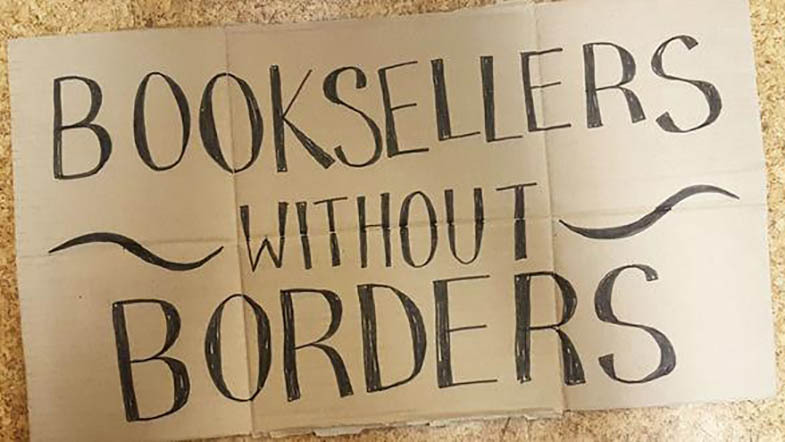 Bookselling Without Borders was founded in 2016 via Kickstarter to allow booksellers to attend international book fairs they might not otherwise be able to attend. The scholarships they provide allow American booksellers to meet with publishers, editors, authors, agents, and other professionals in the publishing industry. The result? Booksellers who are better connected, better informed, more aware of the happenings in the international book market. They’re able to bring a more diverse collection of literature into the hands of their readers. What’s not to love about that? Though major tech companies pose a serious threat to independent booksellers, hopefully Bookselling Without Borders will give just a slight edge to the booksellers who need a leg up. Plus, this may be a great way to find some hidden gems in countries other than the US! Featured Image Via London Review Bookshop.